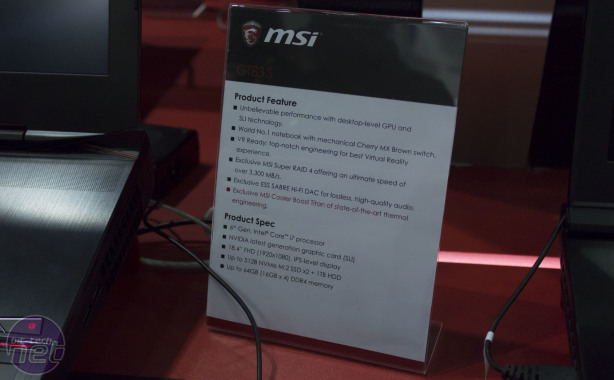 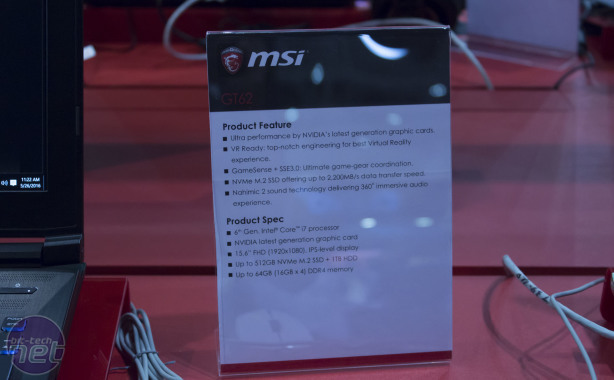 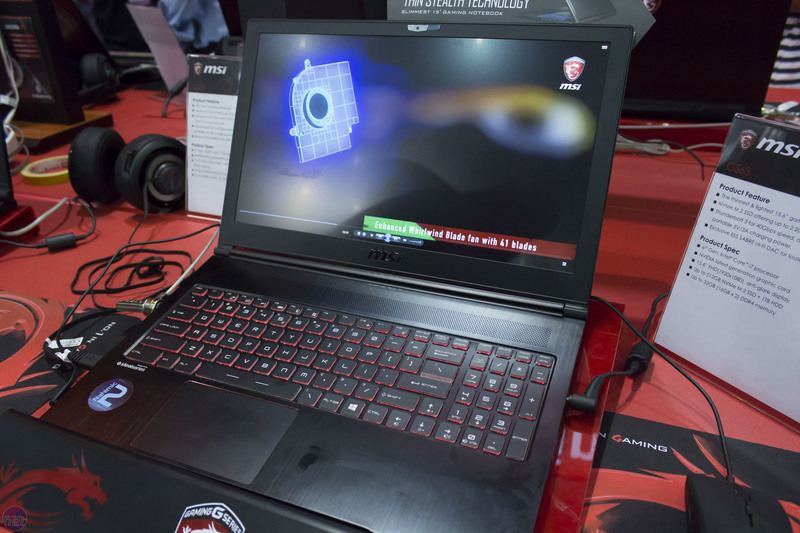 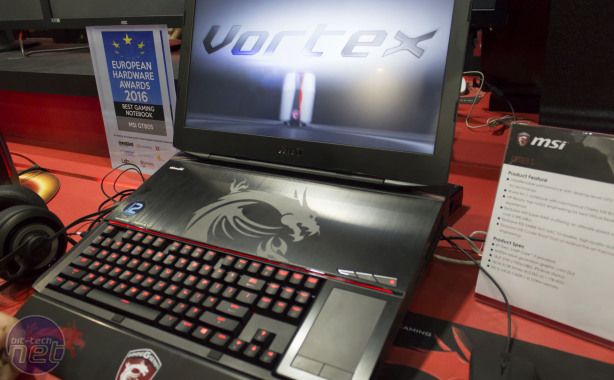 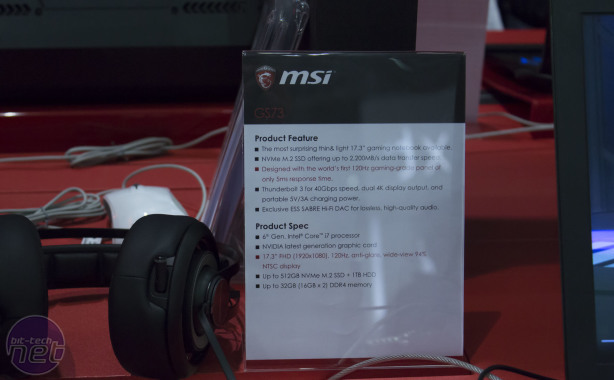 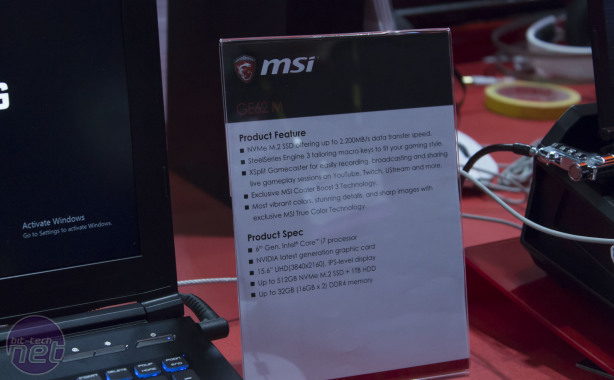 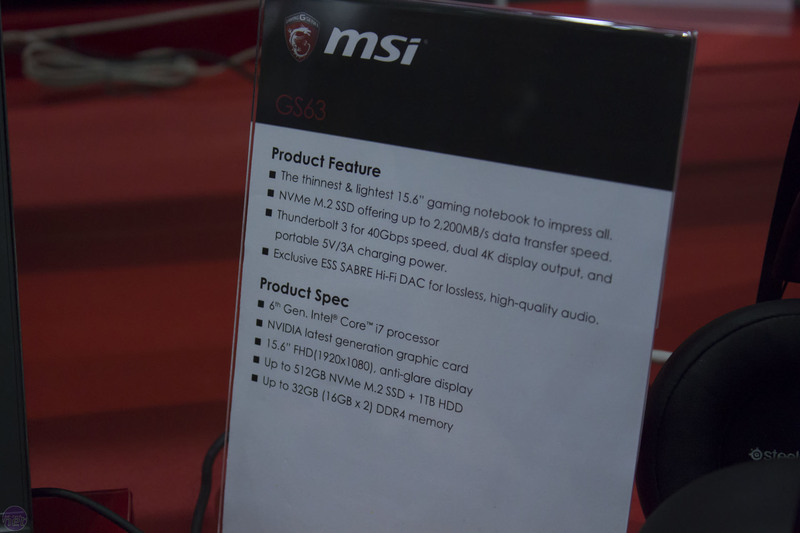 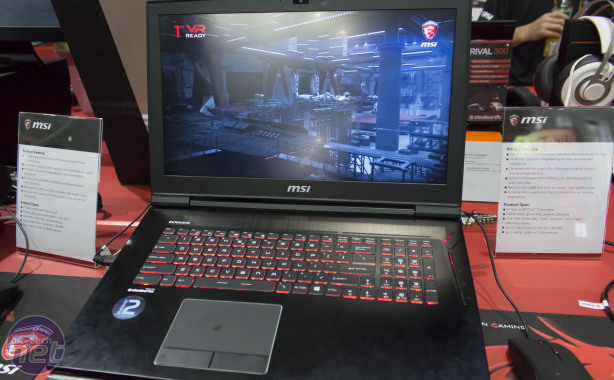 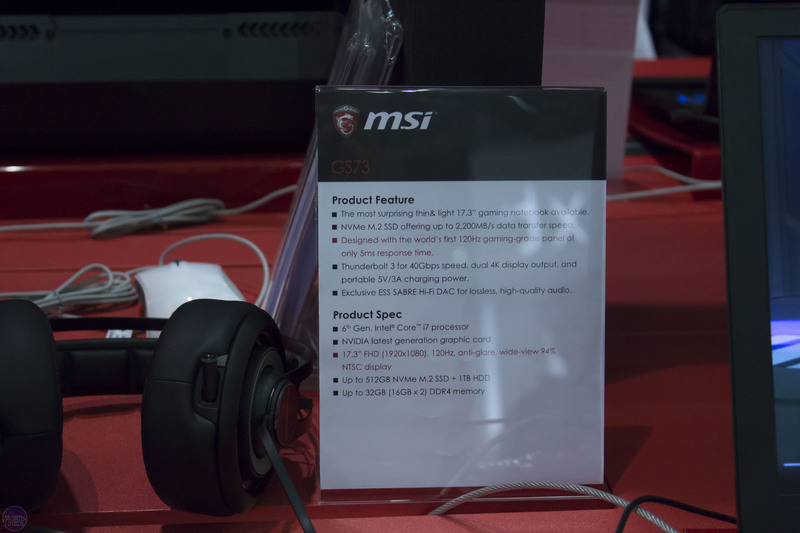 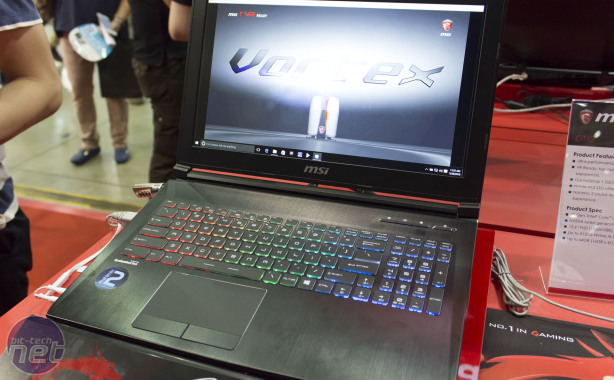 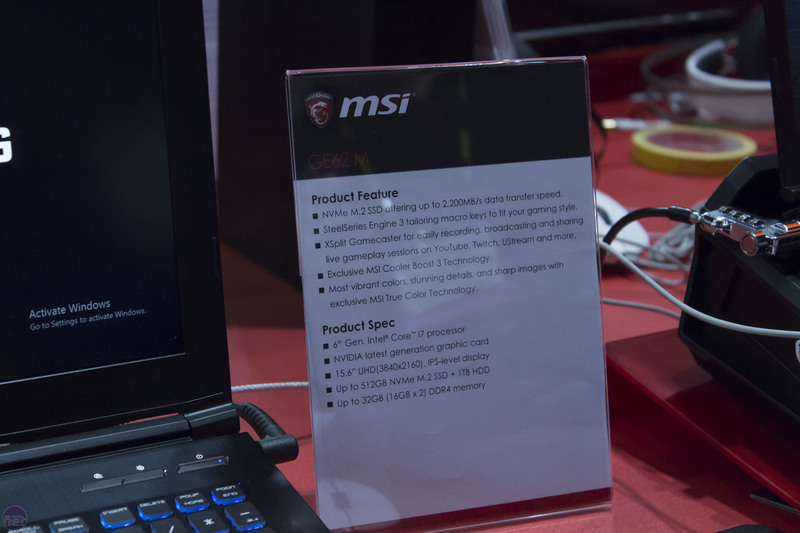 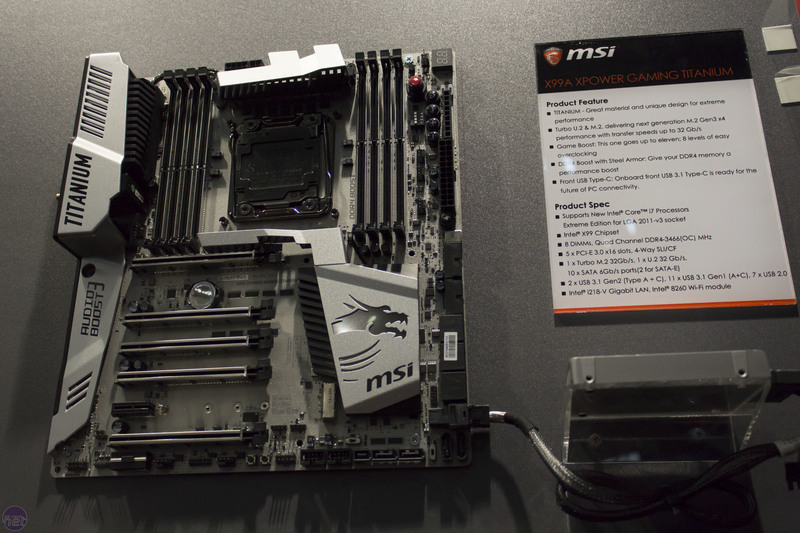 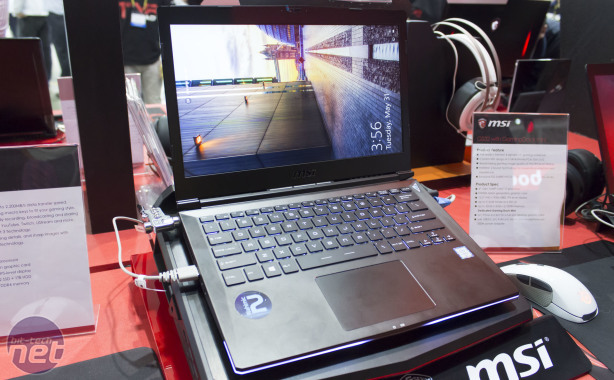 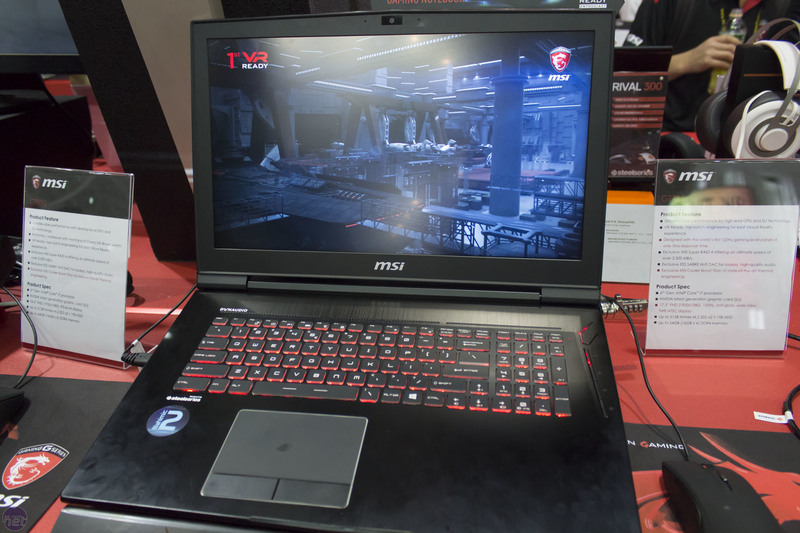 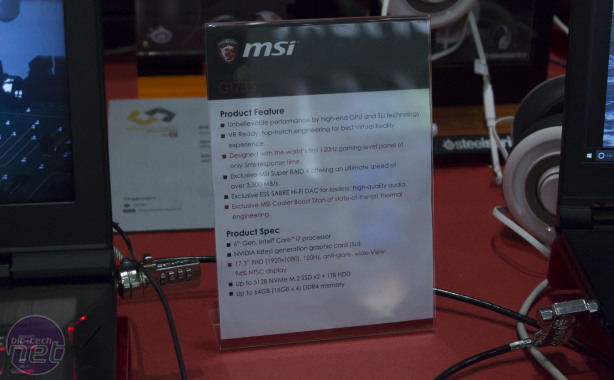 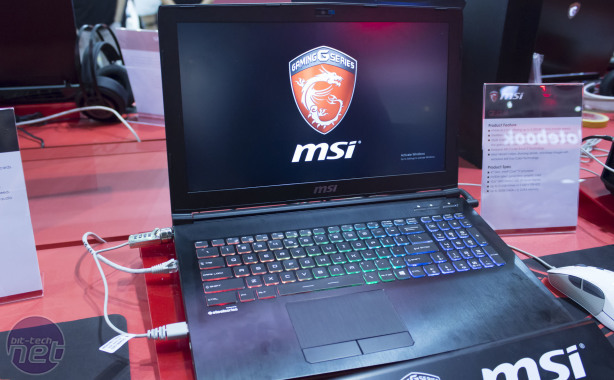 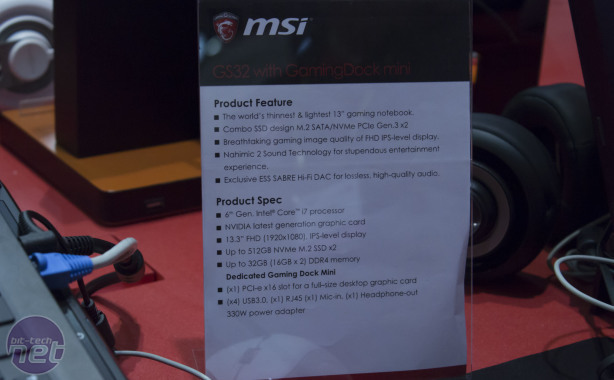 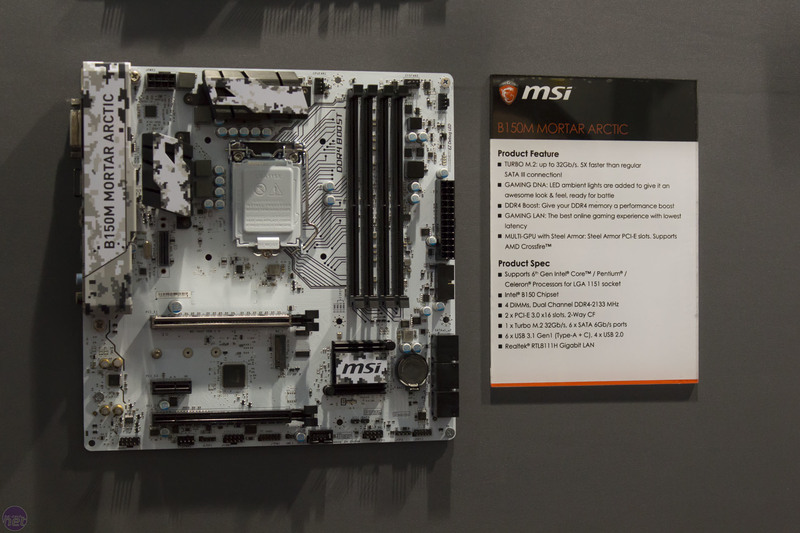 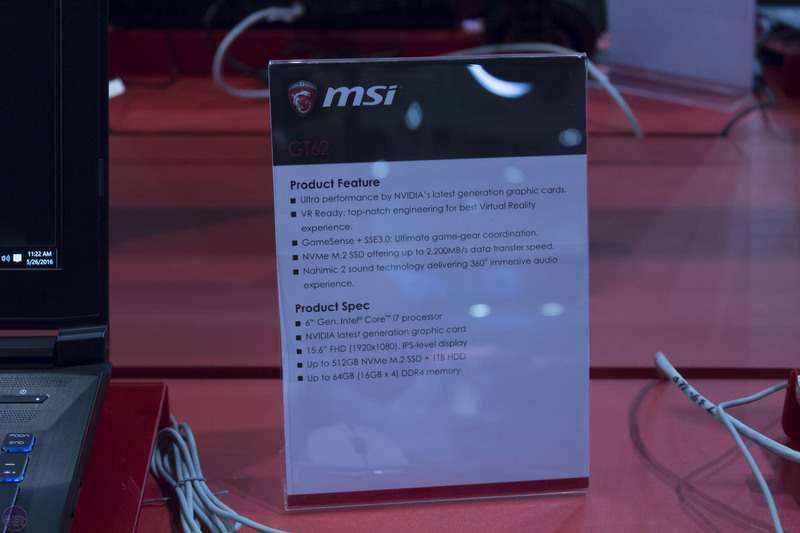 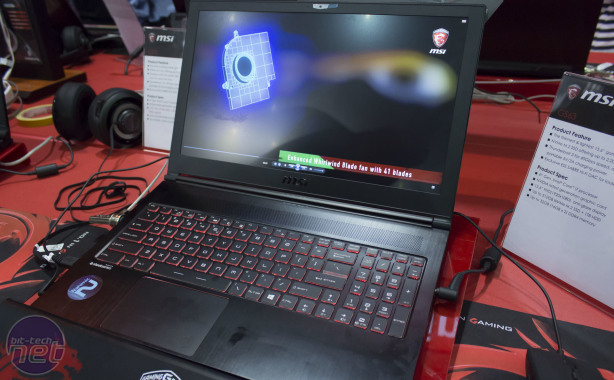 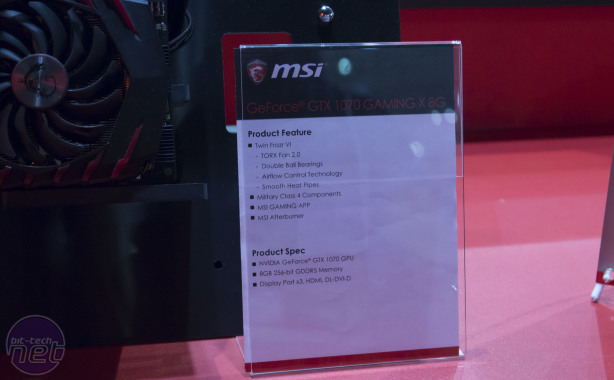 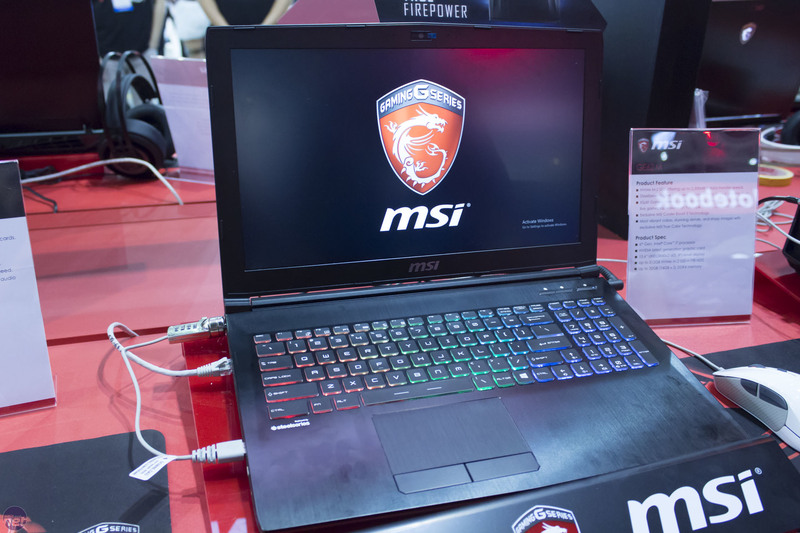 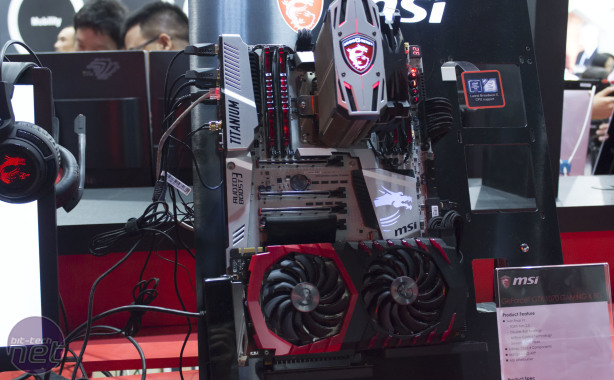 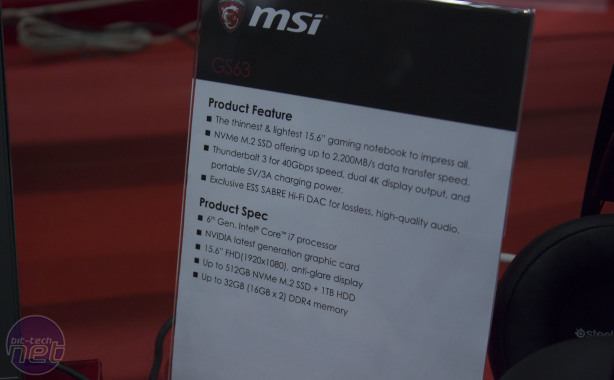 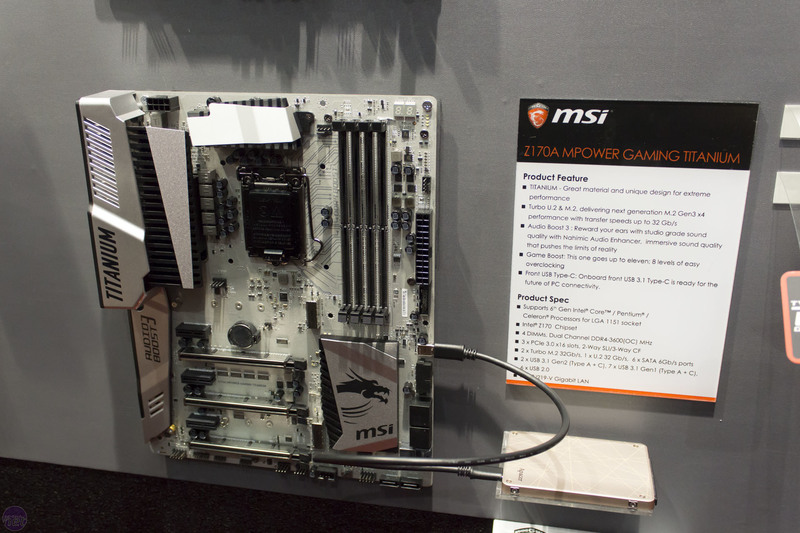 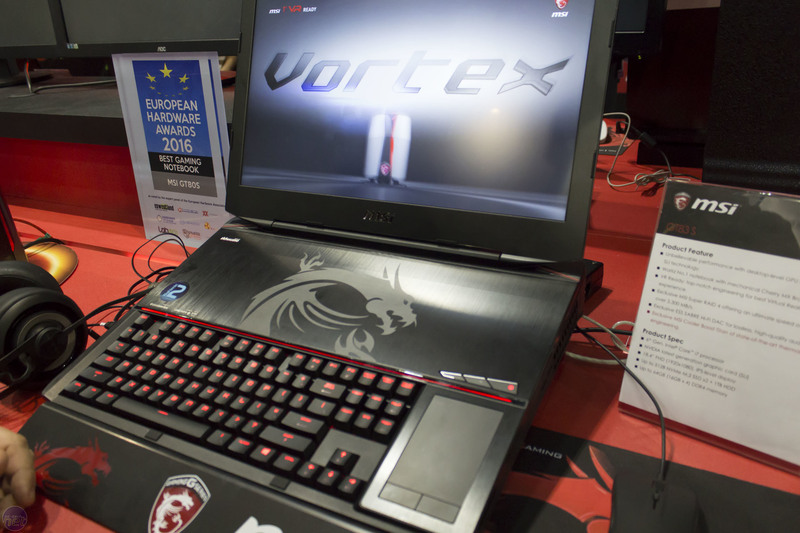 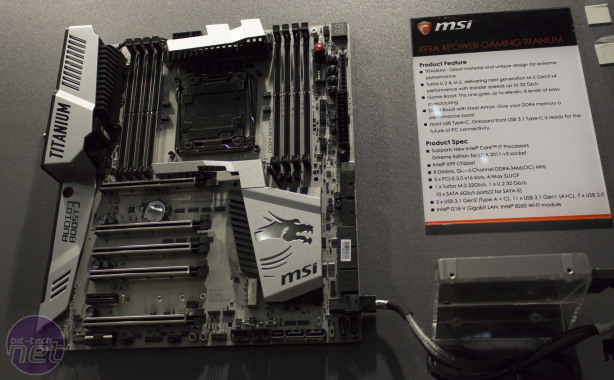 MSI was another company with loads to show – new motherboards, graphics cards and laptops were all out to see. 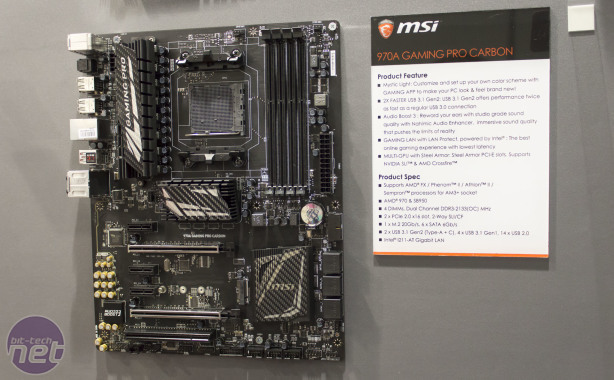 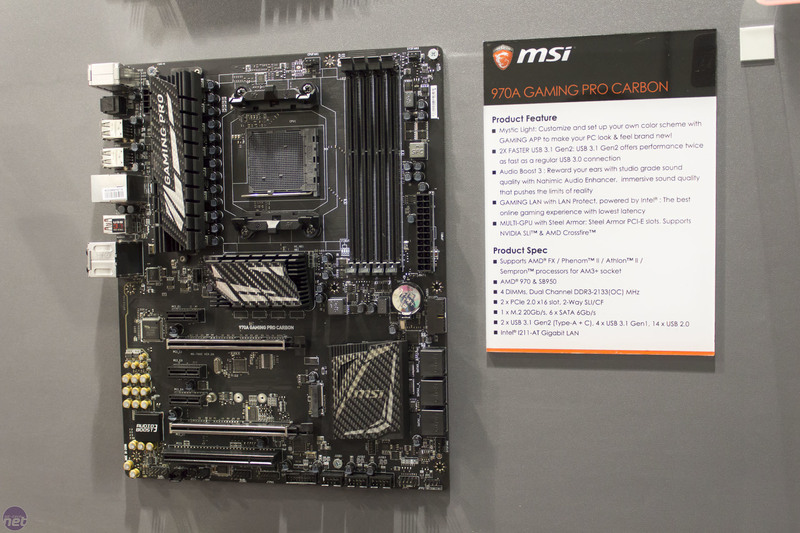 Things are quiet on the AMD motherboard front but the new 970A Gaming Pro Carbon was being displayed. 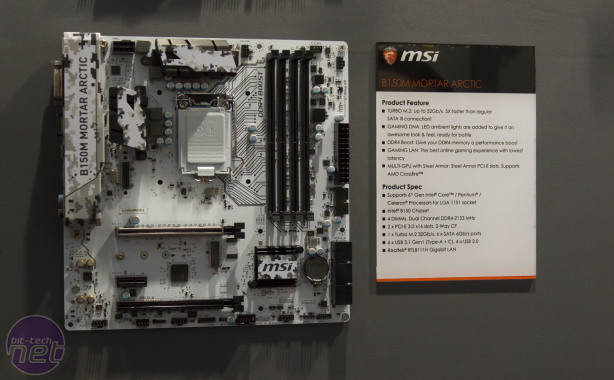 Moving to Intel, the B150M Mortar Arctic offers a white PCB in a micro-ATX form factor – it should cost around £80 and be available in six weeks or so. On the topic of alternative PCB colours, MSI is also adding two new boards to the Titanium family: the Z170A MPOWER Gaming Titanium and X99A XPOWER Gaming Titanium. 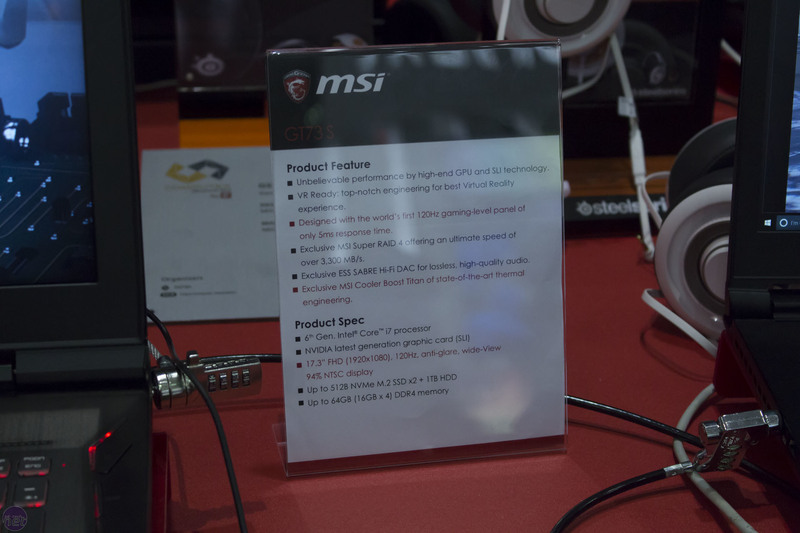 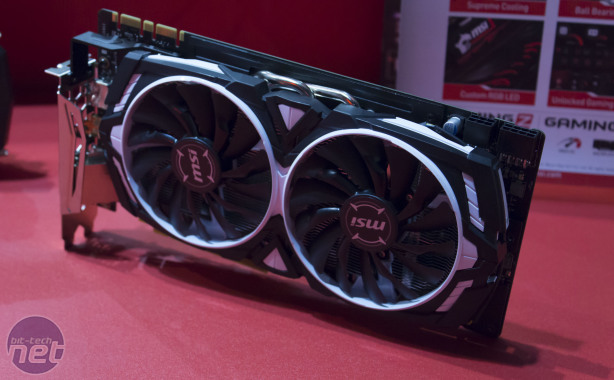 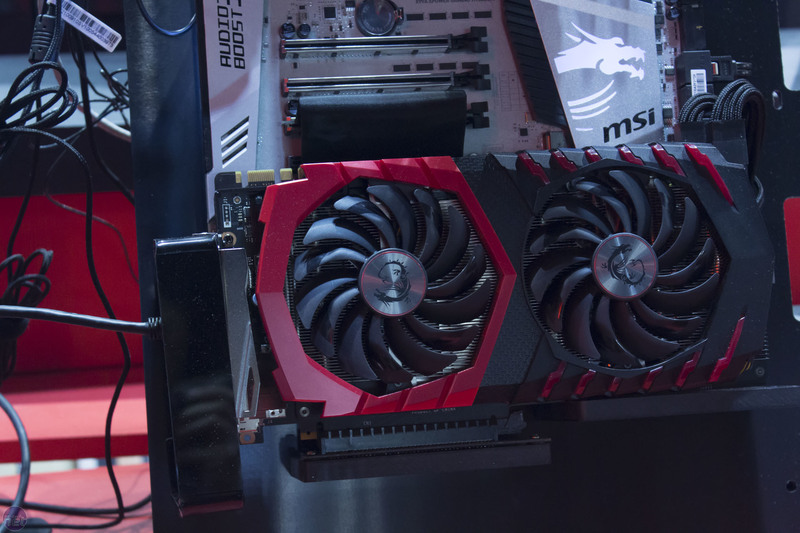 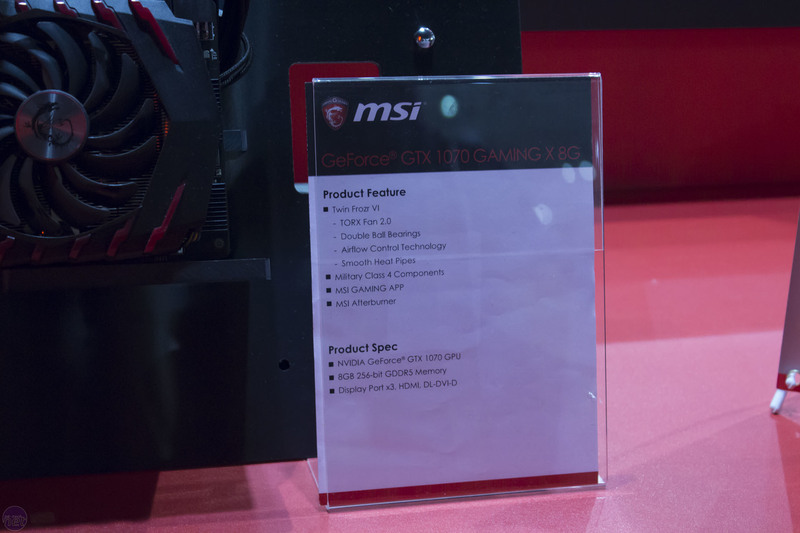 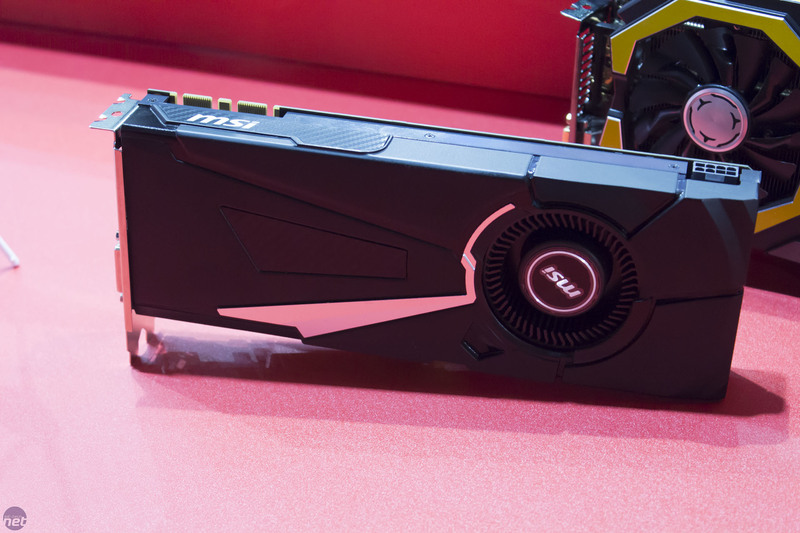 MSI also showed off its GTX 1080 and GTX 1070 cards, with everything from the reference design to the Gaming X and Gaming Z cards demonstrated. 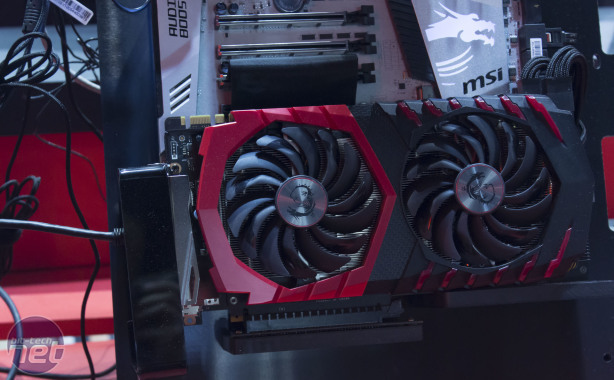 The latter two use the Twin Frozr V cooling solution, but the Z series will have faster clocks and an RGB lit backplate, which as ever you can change the colour of. 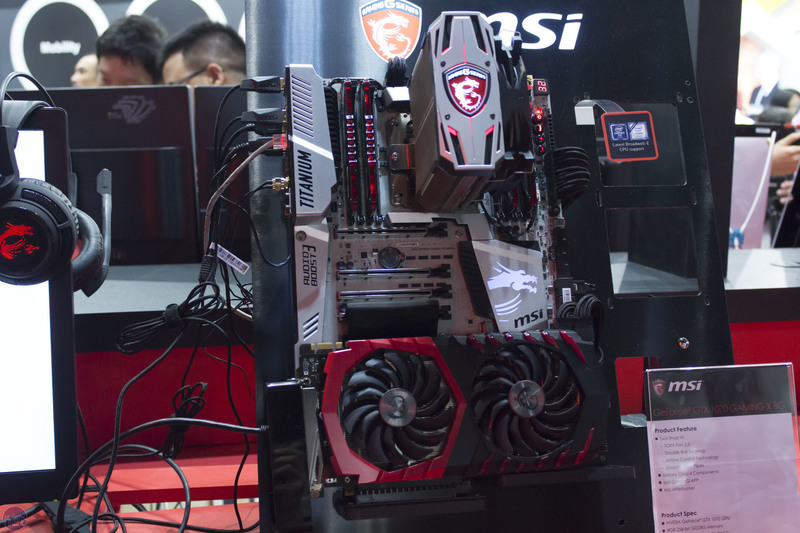 The SLI bridge in the photos is not a final design but it's pretty close to being ready, apparently. 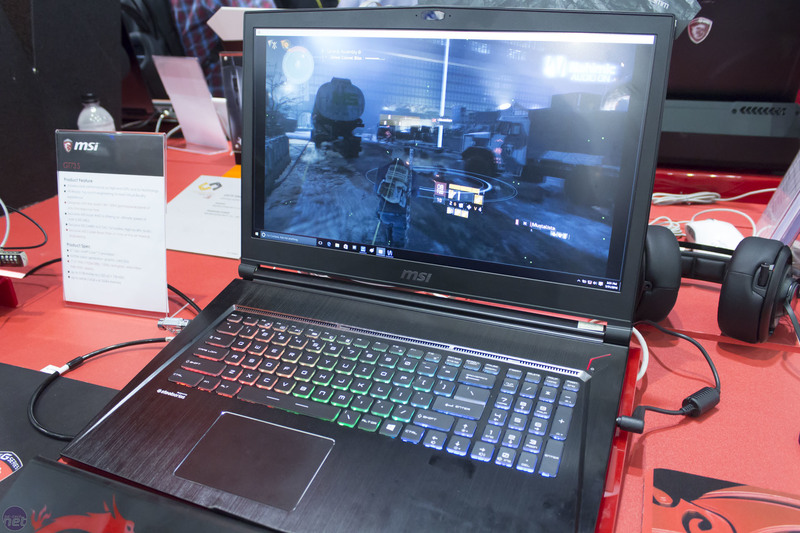 The company already has its hands on the upcoming mobile versions of Nvidia's GPUs, and claims it will definitely be first to market with Pascal-based notebooks. 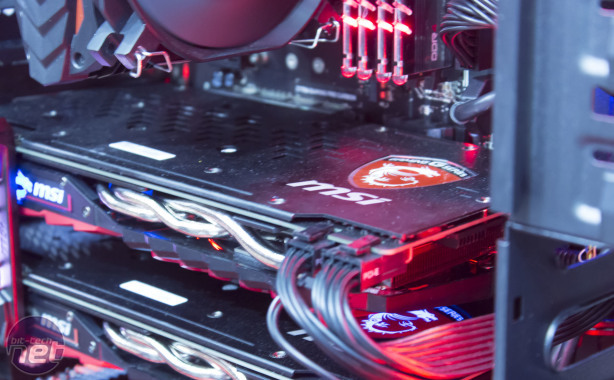 A number of models will be seeing upgrades to the more efficient architecture, allowing for improved, thinner chassis to be used since there's less heat to deal with. 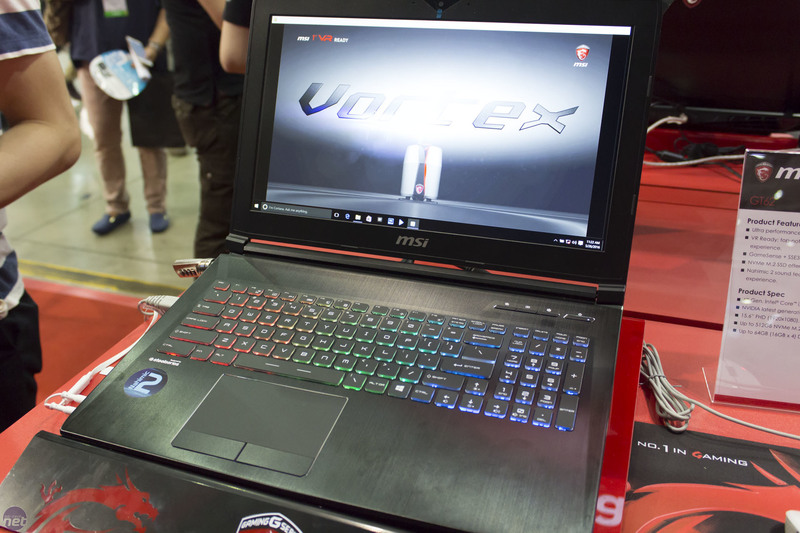 Special features on these include the option to have a 120Hz panel on the upcoming GT73 S and GT73 models, which is a world first for a notebook. 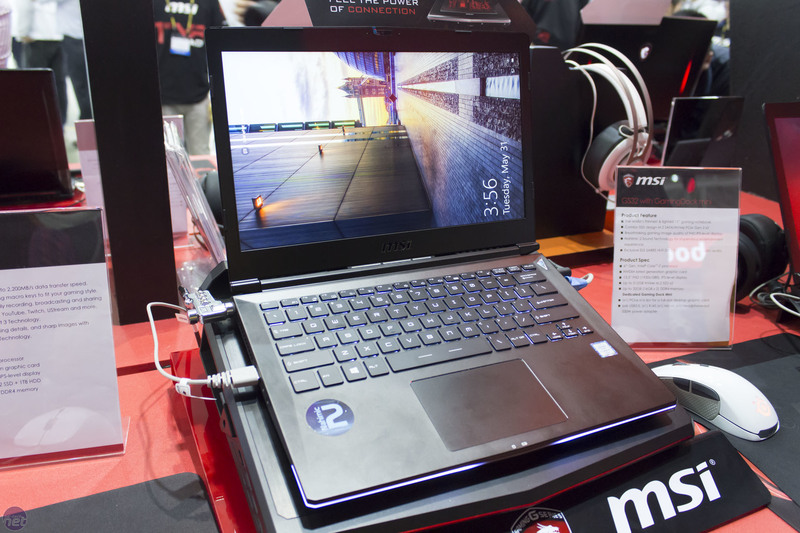 The chassis for these laptops are also a little thinner thanks to Pascal. 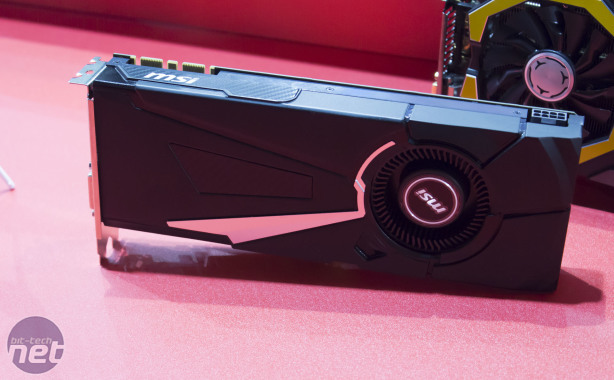 With the GT62, the use of Pascal allows MSI to install the GTX 1080M in the 15.6in form factor, something which it would not have been able to do with the GTX 980M. 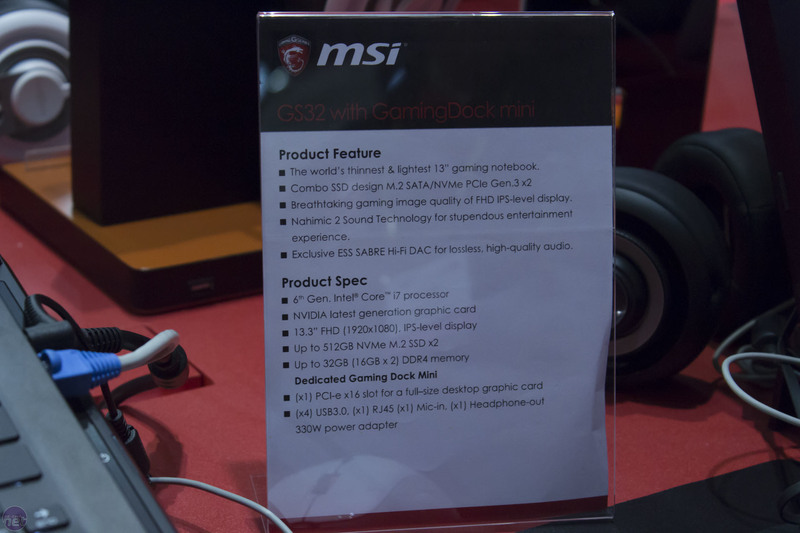 The GS32 is a thin and light notebook designed to be paired with the GamingDock mini when gaming while retaining portability for general use. 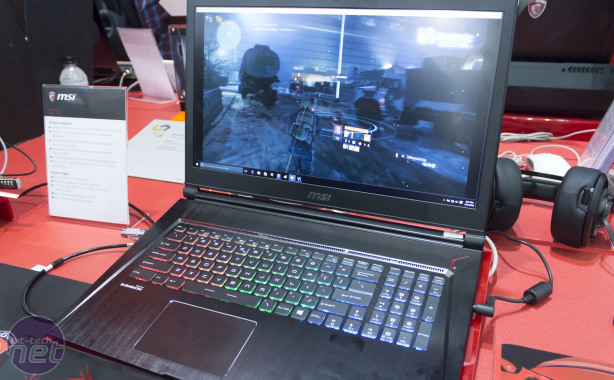 The laptop is mostly the same but the dock has been redesigned and shrunk so as to take up less space while still giving you the ability to install a full-size graphics card.